When Jesus needed help, he relied on the Holy Spirit. What do you rely on in times of confusion, suffering, and helplessness? 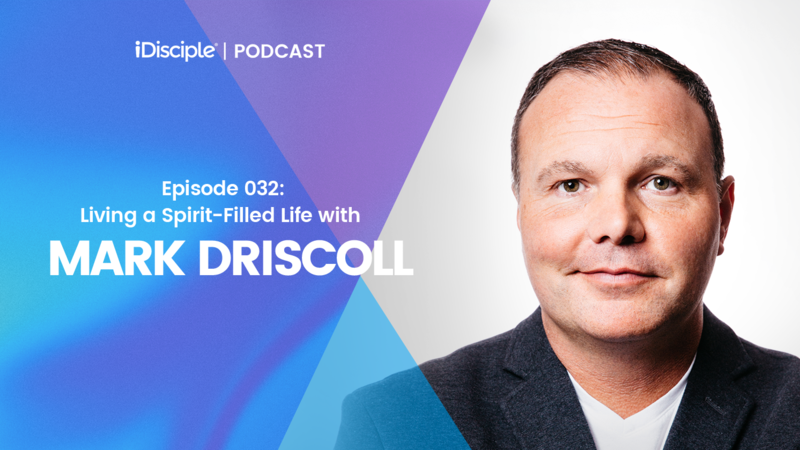 Pastor Mark Driscoll is joining the iDisciple Podcast today to teach us how we, like Jesus, can rely on the spirit in times of need. Mark Driscoll is a Jesus-following, mission-leading, church-serving, people-loving, Bible-preaching pastor and the author of many books, including Real Marriage and Who Do You Think You Are? With a skillful mix of bold presentation, accessible teaching, and unrelenting compassion for those who are hurting the most, Pastor Mark has taken Christianity into cultural corners rarely explored by Evangelicals. He is the pastor of The Trinity Church in Scottsdale, Arizona. Pastor Mark’s latest book, Spirit-Filled Jesus, takes a deep look at Jesus’ reliance on the Holy Spirit. The book is packed with wisdom from Mark’s thirty years of studying and teaching the bible and is a vital read for believers looking to learn more about Jesus and the Holy Spirit. In this conversation, we’ll walk through some of the topics in the new book and get a better look at how we can tap into the power of the spirit just like Jesus did thousands of years ago. We hope and pray that this conversation blesses you in times of uncertainty and teaches you how to live a spirit-filled life just like our Lord and Savior! Mark explains the connection between the book of Luke and the book of Acts, and how it connects Jesus relationship to the spirit with our relationship. How Jesus was able to suffer and be human like us while still maintaining his divine attributes. The comparison between our finite energy and the enemy, and why it’s crucial that we lean into the spirit to fight off the enemy. Why there’s a difference between making mistakes and sinning, and why we shouldn’t be paralyzed by a fear of messing up. Practical ways for us to get “in tune” with the Holy Spirit in our own lives. Mark explains how prominent suffering is in the life of Jesus, and what we can learn from his response to change the way we endure suffering. How Jesus forgave by the power of the Holy Spirit, and why it’s important for us to forgive in the same way to free ourselves from the enemy’s grasp. Do you know somebody in your life who could benefit from hearing God’s truth in this latest conversation? Please share this episode on your social networks. If you would like even more content on the Holy Spirit, download the iDisciple app for your preferred mobile device today! Since 2013, iDisciple has been leading people into a closer relationship with God through music, sermons, and devotionals, all in the palm of your hand! Check out iDisciple.org to learn more.